With its world-class restaurants, reputation for style and rich history in art and culture, Portugal’s first city remains high on every discerning traveller’s hit-list. But what are the essential things to do while you’re here? 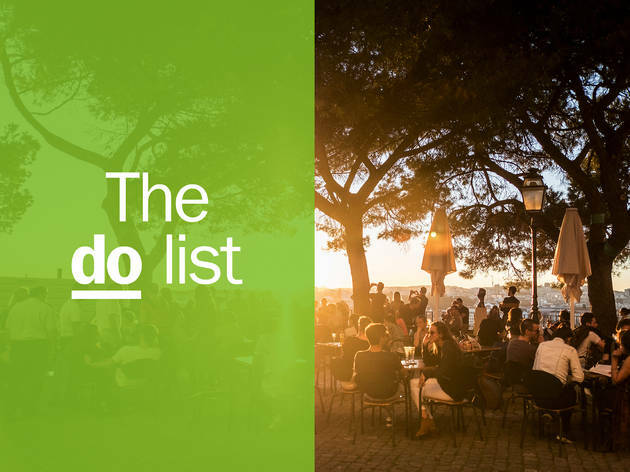 Whether you’re just here for a short visit (and if so, be sure to check out our best hotels list for a place to stay), or thinking of sticking around a little longer, this checklist will help you find the very best things to do in Lisbon. You’ll find the most important landmarks, get a taste of some traditional Portuguese food and uncover hidden gems in the coolest neighbourhoods around the city. Enjoy! What is it? 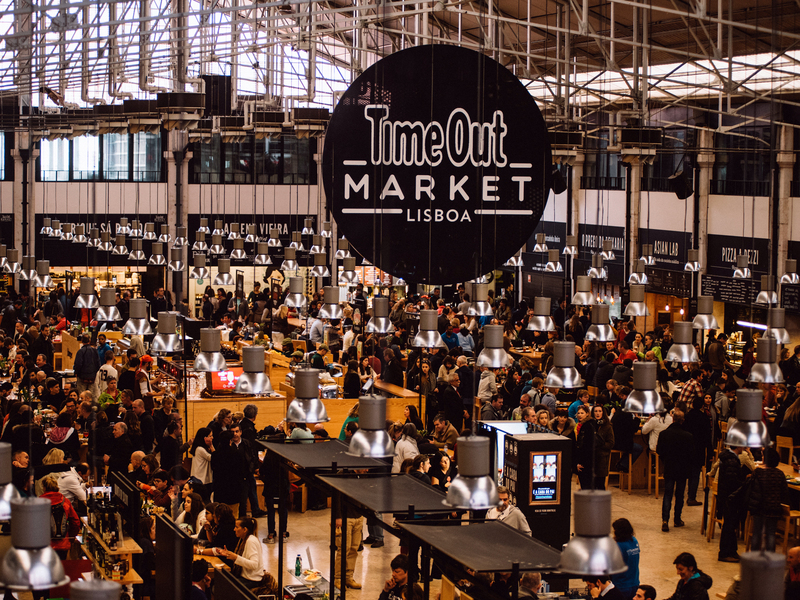 More than 40 spaces with the leading representatives in all the food categories that help make Lisbon what it is - and tastes - all together under one roof. Why go? 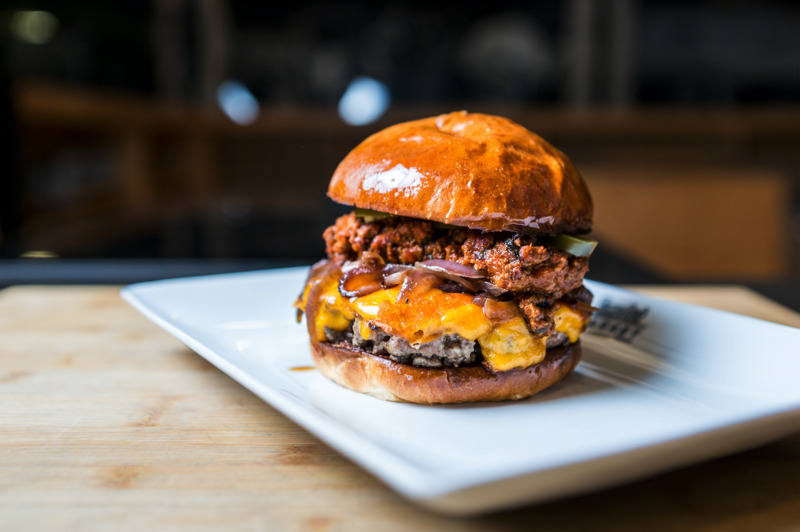 Have you ever heard of curated burgers? Curated nigiri? Curated pizzas, sandwiches or even curated cod? Probably not. After all, Time Out Market is the first market in the world where everything has been chosen, tasted and tested (with four or five stars, and not one star less) by an independent panel of city experts: Time Out’s own journalists and critics. It has over 40 restaurants, a shop selling Portuguese products, a cooking academy, a bar, a club and a showroom. Definitely an unmissable stop. Don’t miss: Everything. If it’s good, it goes in the magazine, if it’s great, it goes into the market. What is it? 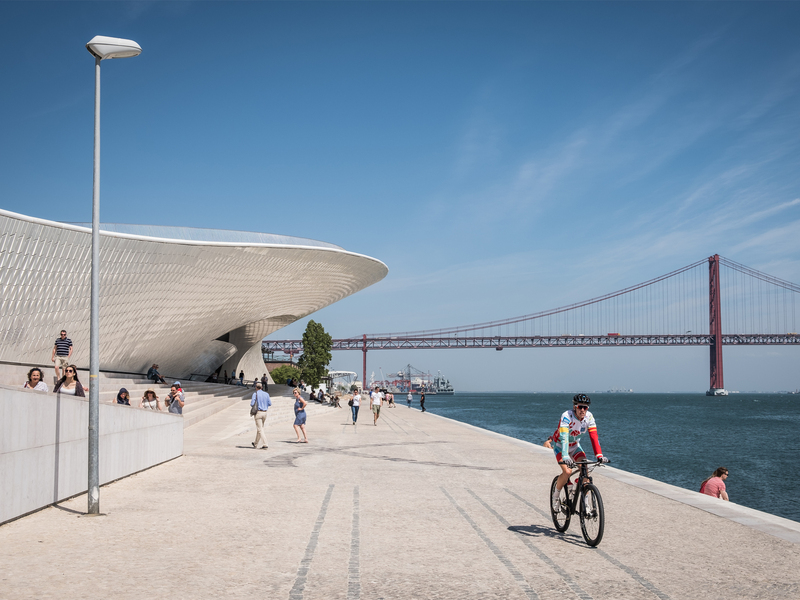 The most recent contemporary art museum in Lisbon is called MAAT, looks like a ray that deflected off the river, and has been all over Lisboners’ Instagrams in the past few months. Why go? It opened, then it closed, then it opened again, but what’s certain is that this project by the EDP Foundation is much more than its acronym. 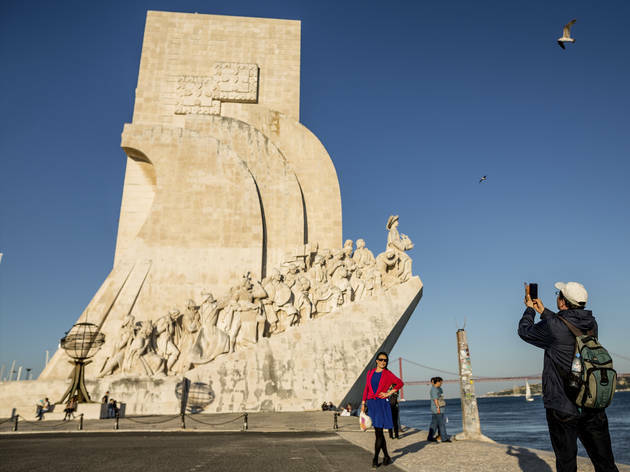 MAAT’s architectural lines struck the city at its 2016 launch, and now justifies regular pilgrimages to the area of Belém. If nothing else, the structured designed by British architect Amanda Levete, combined with a sunset backdrop, makes a killer pic to share on social media. But of course you shouldn’t stop there: we recommend consulting the agenda for information on permanent and temporary exhibitions. 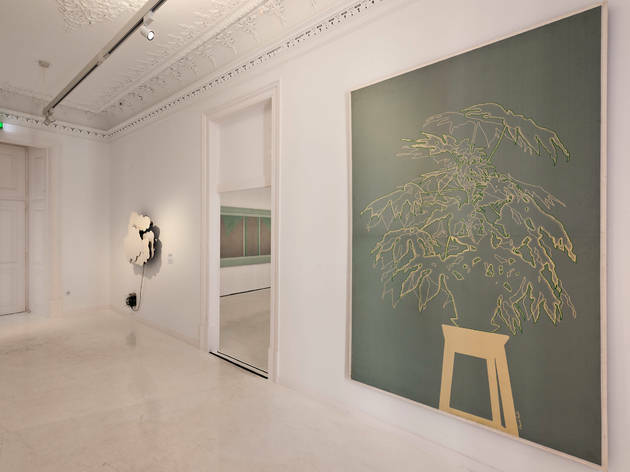 Don’t miss: João Louro’s exhibition called Linguistic Ground Zero that runs from November to April 2019. What is it? Established 80 years ago by a German/ Galician duo, it was initially a brewery serving German fare. Thirty years later, a new management remodelled the venue into the look it still has today. Why go? Conduct manual for eating at Gambrinus bar: 1) Always eat a croquette with the house mustard; 2) ask for the Gambrinus tulip, a very good mixed beer; 3) Do not skip on the toasted almonds; 4) wait patiently for the toast of rye bread; 5) Try a prego (beef sandwich) or a roast beef sandwich with tartar; 6) watch the preparation of the balloon coffee - and drink it, of course. Perfect for: having lunch alone. With so many employees, you're never really alone. Don’t miss: The croquettes? The prego? 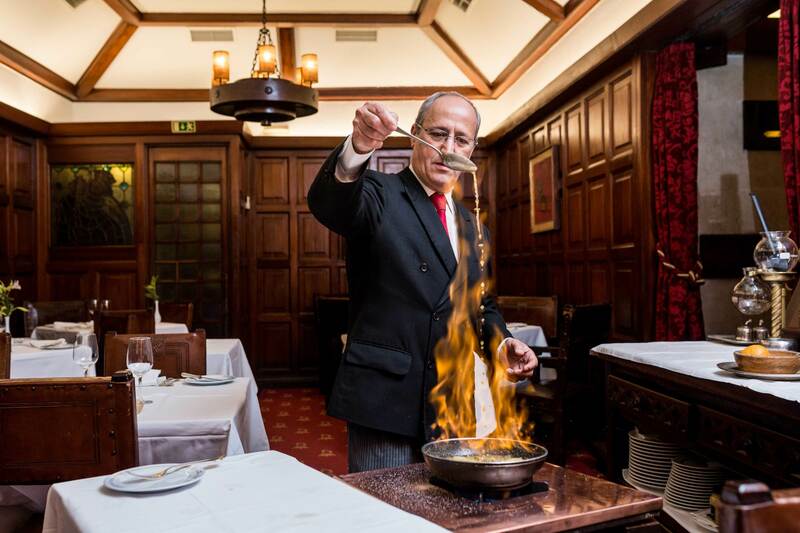 Or will it be the crêpes suzette? What is it? This is the Lisbon equivalent to Madrid’s El Rastro or London’s Portobello Market. 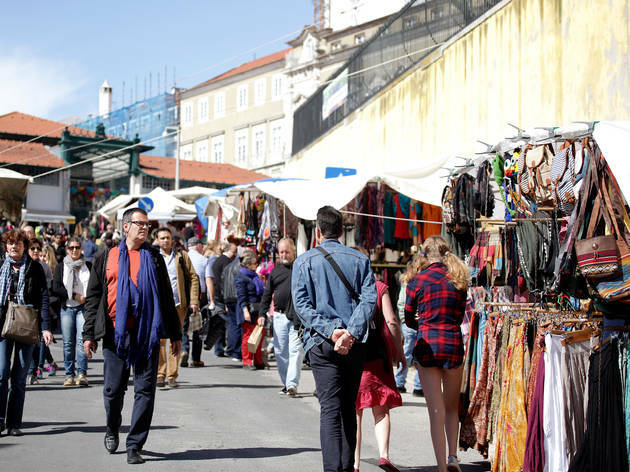 Feira da Ladra started in the 13th century and moved around town, before setting up camp at its current Campo de Santa Clara location in 1903. Why go? 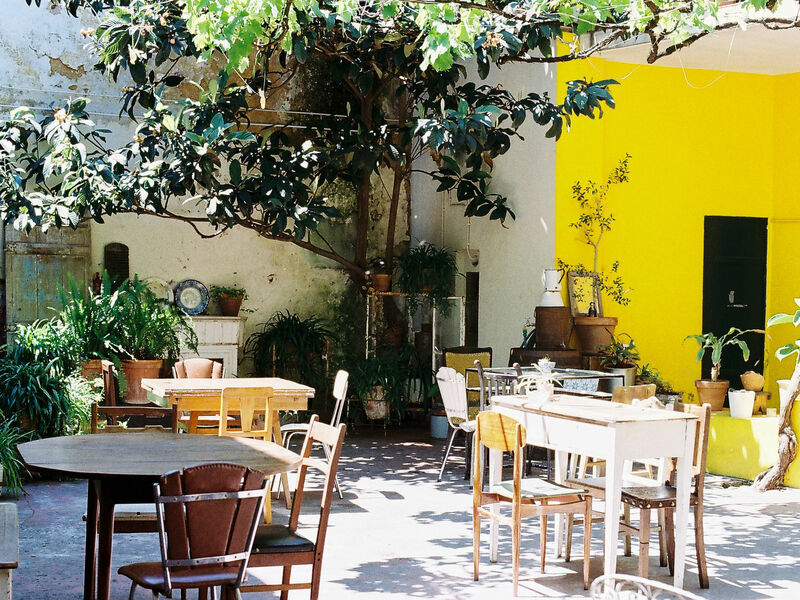 If you enjoy pottering around flea markets when you’re on holiday, go to Feira da Ladra. There’s a bit of everything there, from socks to second-hand books to vintage silk handkerchiefs every Tuesday and Saturday. Don’t miss: Rise early for the best experience. What is it? Founded in 1911, this state-run museum reopened in 1994 after a hiatus following the Chiado fire. Why go? Notwithstanding the cool, modernist redesign by French architect Jean-Michel Wilmotte, the name - National Museum of Contemporary Art - is a little ambitious given the place's size and budget. Still, the rehang of a couple of years ago, involving 100 works from the permanent collection, offers an instructive overview of 150 years of Portuguese art - from romanticism through naturalism to neo-realism, surrealism and abstractionism - up to 1975. 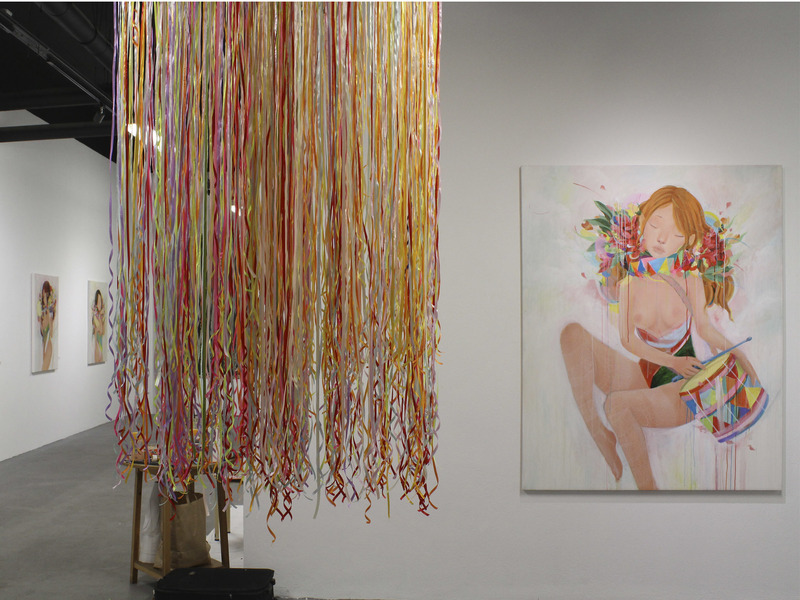 Don’t miss: Júlio Pomar’s “Gadanheiro” (mower) and Helena Almeida’s “Pintura Habitada” (inhabited painting). These are two of the most significant contemporary artists here, both recently deceased, and their work your is a must see. Also, the shop is excellent! What is it? A restaurant famous for its roasted cod. Why go? There is actually no Zé at Zé da Mouraria. There is a Virgílio, not from Mouraria but from the Minho region. 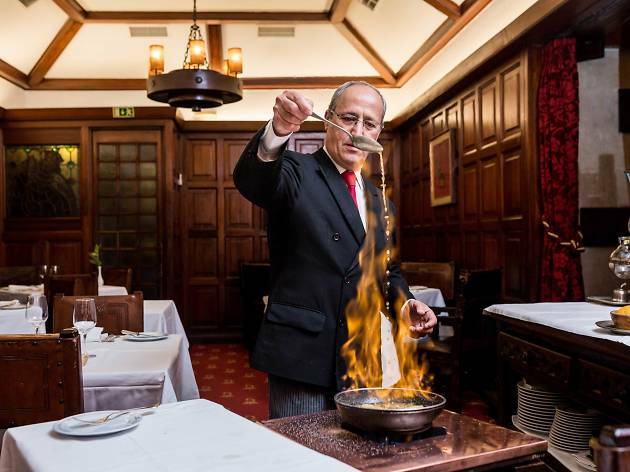 He opened the neighbourhood's most popular restaurant 17 years ago, where once a Galician fellow had a grill named Zé dos Grelhados. Now that you know about the name, let us tell you about their internationally renowned roast cod, whose secret is to use thick slices with no bones while adding good quality chickpeas, olive oil and roast potatoes. Also great: the veal steaks with garlic and the garlic cuttlefish. Don’t miss: Barbecue ribs are served on Wednesdays, oven-roasted duck rice on Thursdays. What is it? American artist Shepard Fairey, best-known for his project Obey Giant, brought his iconic style to the neighbourhood of Graça. Why go? 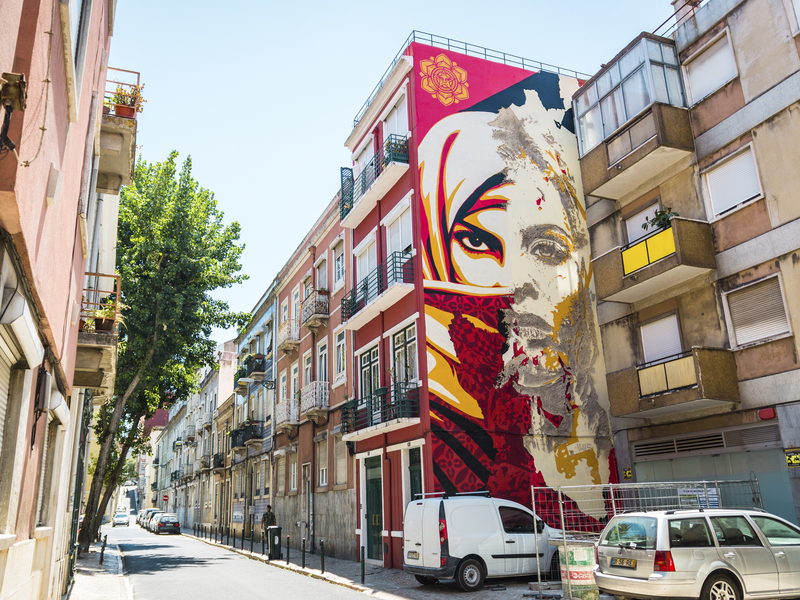 On the side of a building on Rua Natália Correia, Obey Giant painted a woman wearing a revolutionary beret and holding a rifle with a carnation in its muzzle. Giant is best known for the “Hope” poster he used in Barack Obama’s 2008 presidential campaign. Dont’ miss: In the same area, he collaborated with Vhils (Portuguese artist Alexandre Farto) to create a mural representing a woman’s face, on Rua da Senhora da Glória, Graça. What is it? This establishment began life in 1782 as a shop selling drinks and ice. Why go? 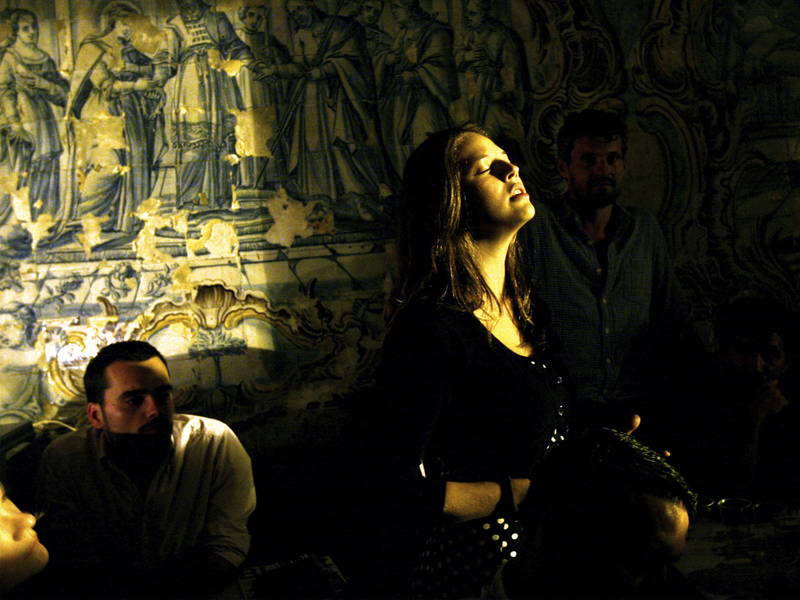 At Martinho da Arcada, Lisbon's oldest restaurant, they believe in ghosts. Or in symbolic gestures. It is in all the tourist guides as one of Fernando Pessoa’s favourite places and local mythology says that Martinho da Arcada has a place constantly booked waiting for the poet. Don’t miss: Let’s get right to it: in the coffee house quick meals are served at attractive prices and there are also one of the best custard tarts in town. of choice for a night out on the town. Why go? In a decaying mansion that has housed all manner of clubs and associations over the past century or so, this is the latest (and probably the liveliest) incarnation. The large front 'Tiger Room' hosts gigs and DJ sets, there are various small rooms that are good for a chat or a spot of work on your tablet, and the café and back patio are great places to relax. Don’t miss: The bar serves a good range of teas, fresh juices and cocktails, while finger food is served until midnight. What is it? 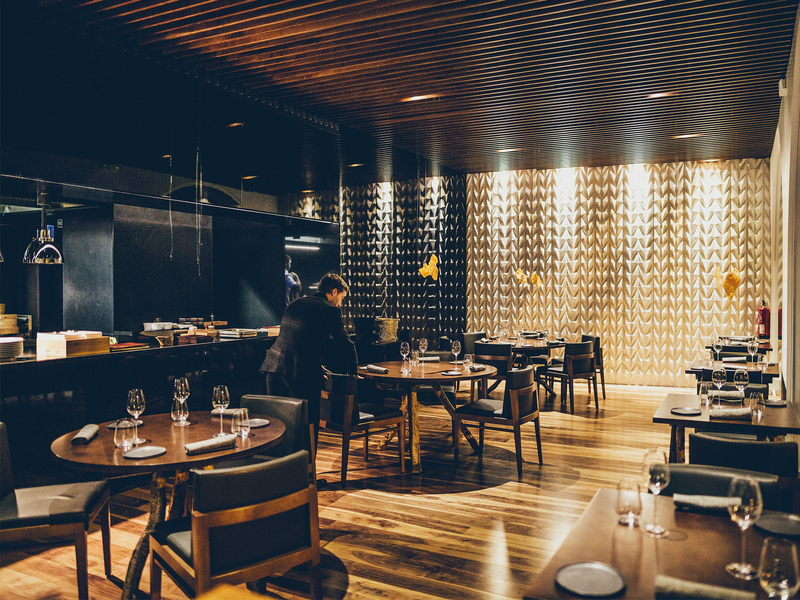 Loco is a haute cuisine restaurant headed by one of the most creative minds of the city, chef Alexandre Silva. 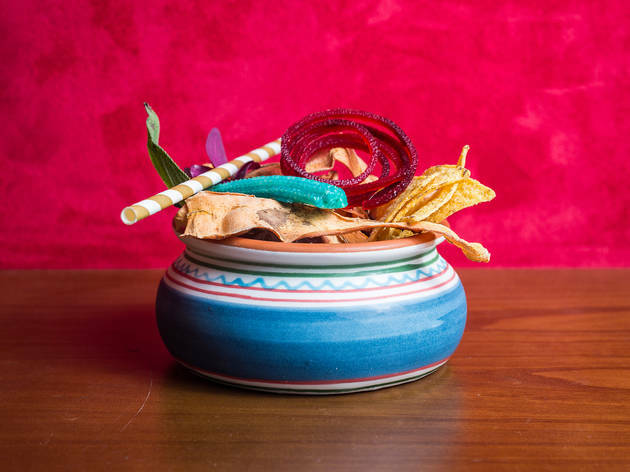 Go with an open disposition for tasting dishes outside your comfort zone – here you’ll face avant-garde Portuguese cuisine. And book ahead. Why go? Six Time Out stars for the late Bocca, five stars (only because we don't give out six anymore) for Loco and now a Michelin star. Alexandre Silva earned them all. He is one of the city's most creative minds, despite his calm and sober demeanour. A bit like his restaurant – haute cuisine where the staff greets patrons wearing trainers. The mood is relaxed but the food is very delicate and great effort went into it. This is a place where you should go a bit wild (and be ready to spend some money) and where you will be treated as a unique guest. Don’t miss: Drinks go beyond the traditional fine dining list: there are liqueurs and fermented juices. What is it? Nicolau became a phenomenon when it opened in 2016. Due to the dog-sausage, with a bow around its neck and the velvet suit, that is the mascot of this Baixa’s restaurant. 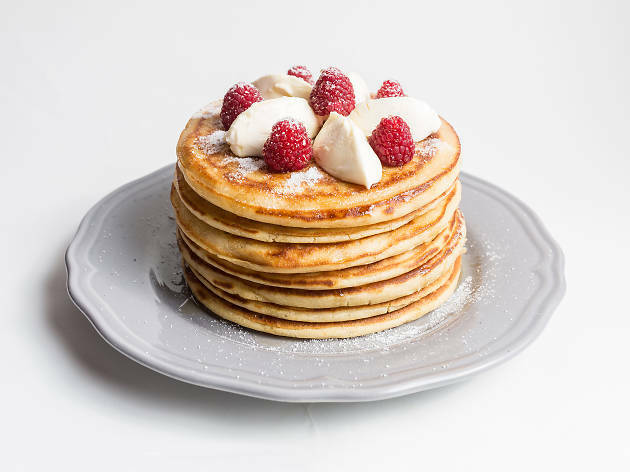 Don’t miss: Nicolau’s pancakes (with mascarpone and strawberries): tall, sweet, flavored. Nailed it! Arab design, at Príncipe Real. Why go? Design, fashion, and temporary exhibitions all feature. There's no more diplomatic 'Embassy' than this. 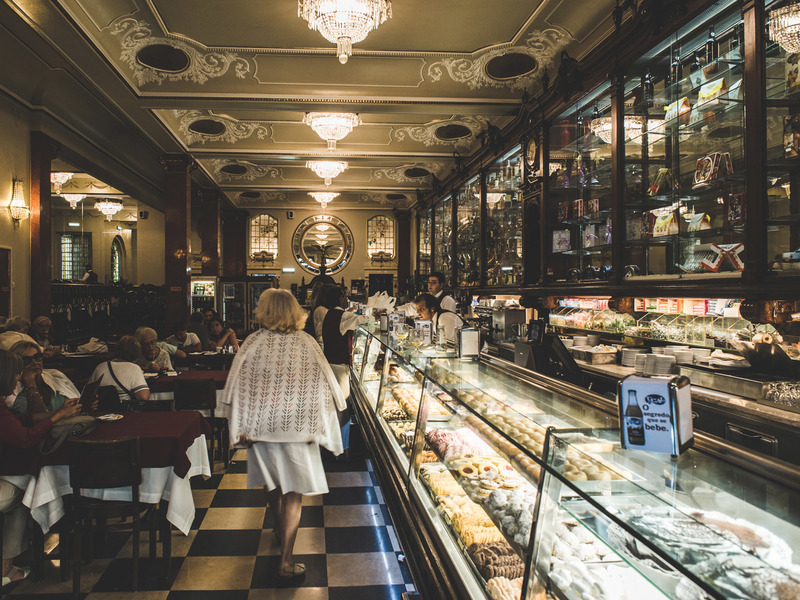 Housed in an 18th-century mansion, it hides some of the city's most intriguing secrets: very original Portuguese and foreign stores all under the same roof (which is sometimes decked out with flowers) and with a restaurant with a French name but which serves Portuguese snacks. 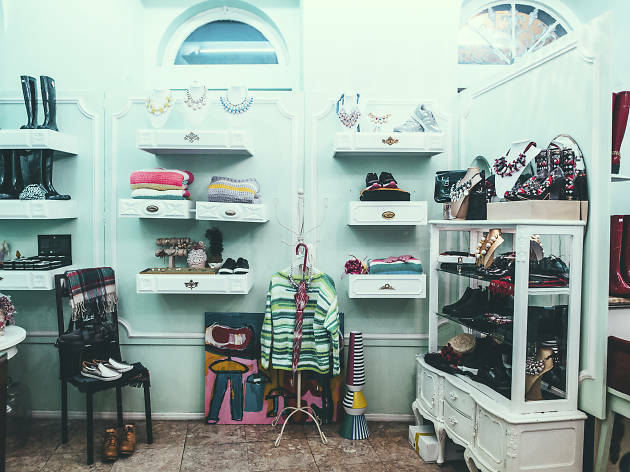 Make sure to pop your head into Linkstore, which sells original accessories for men, Organii, with organic products for babies, and Amélie au Theatre (picture), redolent of Sofia Coppola's Marie Antoinette – and don't forget to have a glass of something in the inner patio of Le Jardin. Don’t miss: Don’t forget to check out the impressive restaurant and the garden as well. What is it? There are no doubts among us: Ground Burger has the best burgers in Lisbon. Doubting is Descarte’s job - all we care about is the 150g of Black Angus meat carefully disposed in between slices of homemade bread and served with fries. Why go? These. Are. The. Best. Burgers. In. Lisbon. Let's pronounce every word properly because what takes places at the Ground Burger lab, in view of the patrons, if pure magic. It's 150 grams of 100% Black Angus beef within a brioche bun (they bake in-house two batches per day), with quality ingredients, crunchy onion rings or french fries with rosemary to dip in French's American mustard. As for drinks, order a huge milkshake (don't feel bad about it) or a craft beer. 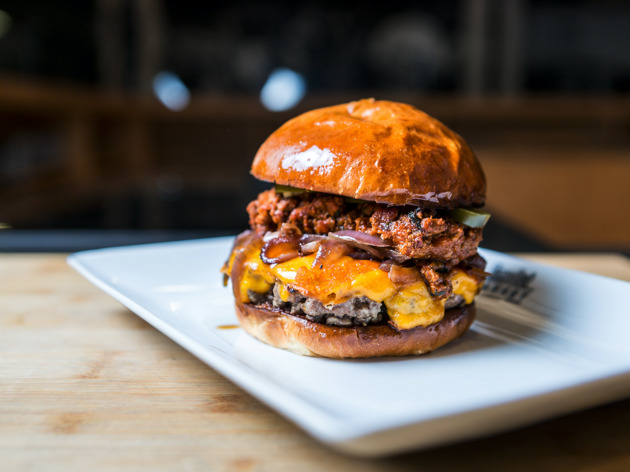 Don’t miss: The Ground Burger is great, so is the Chili cheese, and the Philly Burger as well. What is it? 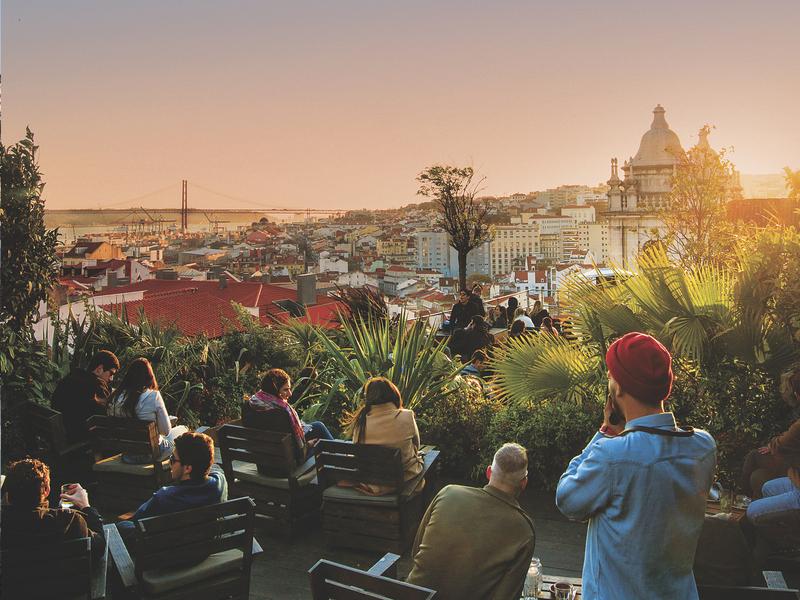 This sprawling rooftop bar on a multi-storey car park at the south-western corner of the Bairro Alto gets packed on warm evenings. Why go? Okay, it sounds weird. But at Park, drinks are available on the sixth floor, so you’ll be far from the actual cars. Phones at the ready – the view it has over Lisbon is one of the most instagrammables, as are the cocktails. Plus, there are usually DJs to liven things up. 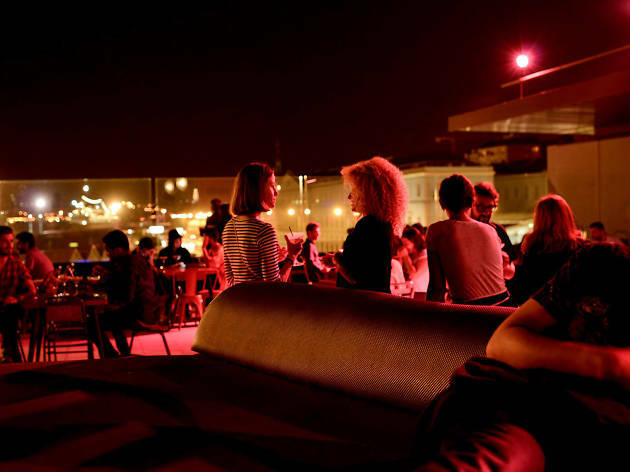 A relative newcomer, this sprawling rooftop bar on a multi-storey car park at the south-western corner of the Bairro Alto gets packed on warm evenings. Beautiful young things chat amid giant pot plants, swaying to a DJ-driven soundtrack of jazz, soul and funk. 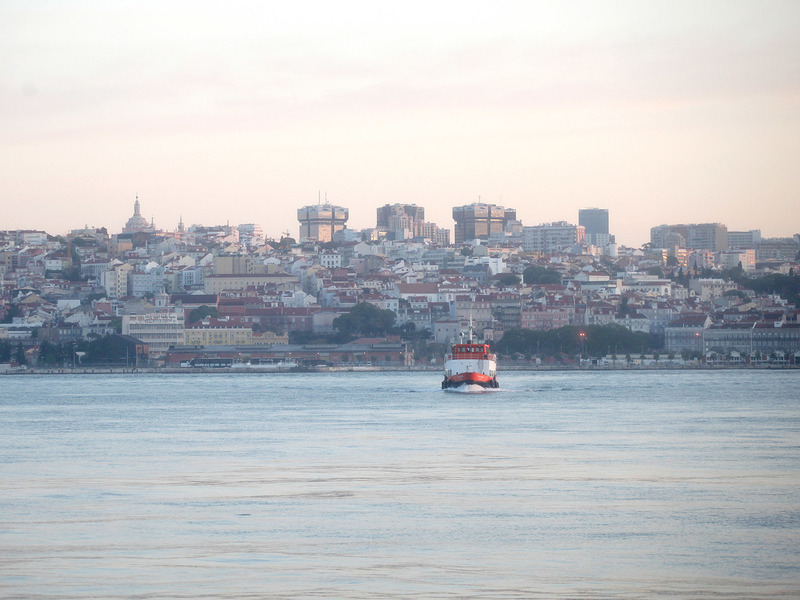 Don’t miss: The view out over the river and Ponte 25 de Abril is stunning. Snacks and light meals are available until 3pm, and then again from 8pm to 11pm. the Italian way. With 65 years behind them in the Greater Lisbon area, Santini shows us that no matter how many other ice creams try to compete, these guys always nab the top spot. Why go? The original ice-cream parlour in Cascais, opened in 1949 by Italian expat Attilio Santini, was patronised by local high society, including the Spanish royal family in exile. 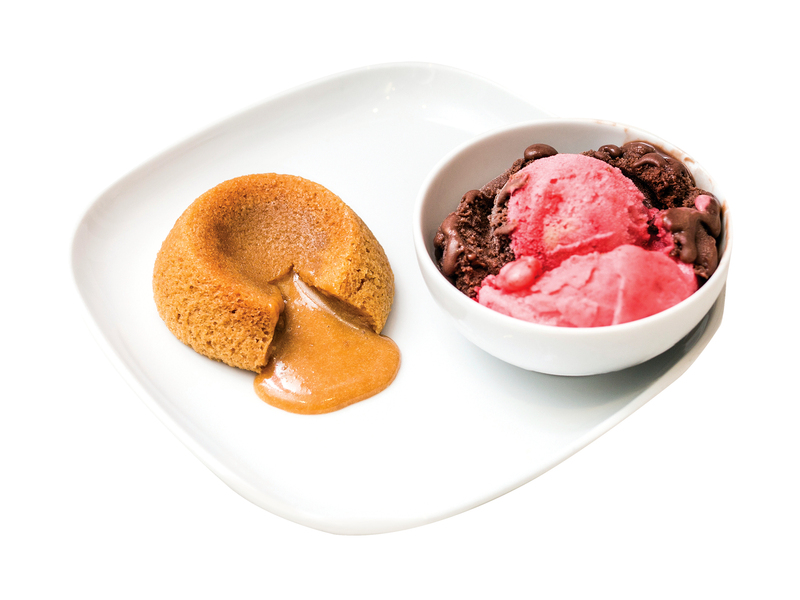 At this Lisbon outlet the firm's wonderful all-natural ice-creams and sorbets are just as popular. They deliver too. Don’t miss: The fruit and nut flavour – and dare to try the seasonal specials. What is it? 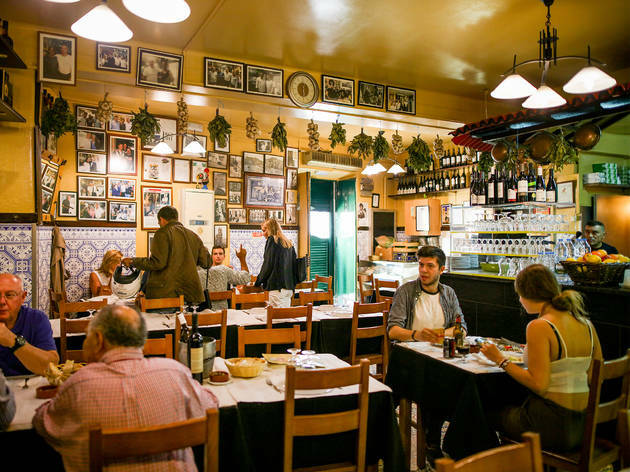 By day, Taberna da Rua das Flores is a simple tavern serving traditional dishes, with a great meia-desfeita de bacalhau. But by night it’s a chef’s laboratory, mixing influences from all around the world. Why go? To lead a restaurant where the menu changes daily you need creativity. André Magalhães and his team have it and they also know a lot about forgotten or hard-to-get Portuguese products. Thus a part of the menu usually confuses the patrons – fear not, the staff is on hand to tell you what is what. Don’t miss: It's always crowded and no reservations are accepted, so go early. What is it? Generous in space and in the view it offers. 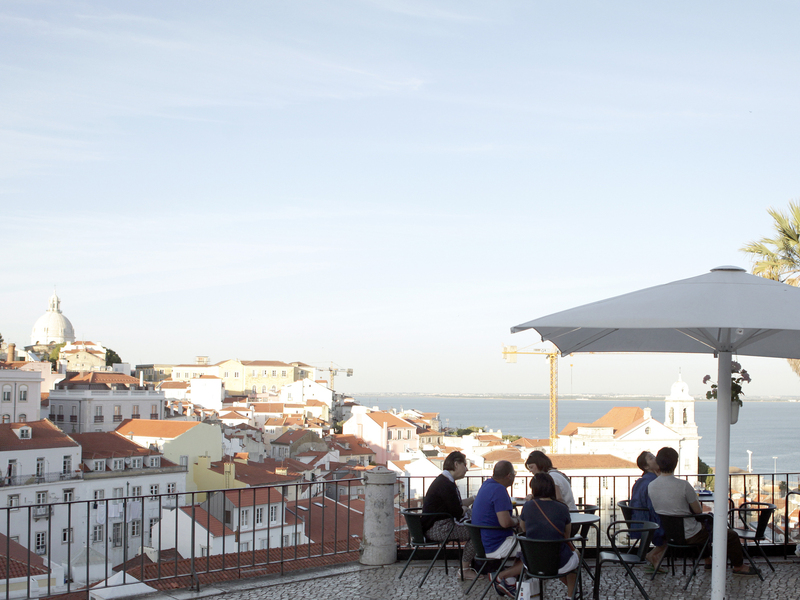 Besides the Tejo river, you can see the Alfama area from the comfort of your chair. Why go? The Portas do Sol cocktail bar invites everyone to have a boogie on weekends, and it also serves food, to balance out all that sangria. The bar of this lookout is integrated in a building of the award winning pair of architects Aires Mateus and is animated at weekends by a DJ who puts Lisbon and tourists dancing around the statue of São Vicente de Fora, patron saint of Lisbon. Don’t miss: Settle in the puffs and unwind to see the Tagus river and the monuments of the Alfama district. Recommended: Try our Time Out Discovery Game and unlock the Hidden Gems of Graça and Alfama. What is it? 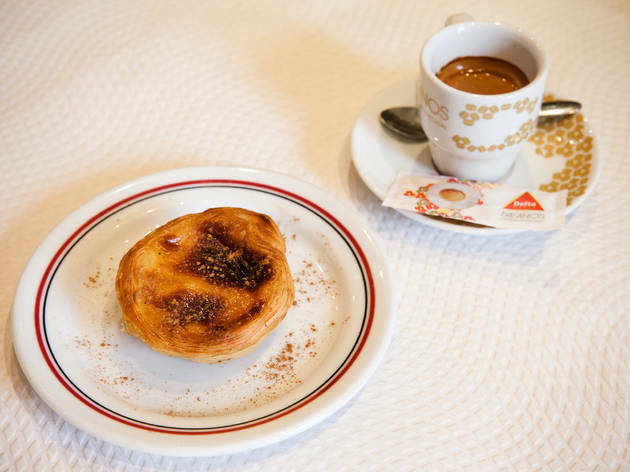 The world-famous pastéis de Belém - warm, creamy tarts with puff pastry made according to a secret recipe - fairly fly out of the door here. Why go? The Pastéis de Belém bakery is a mandatory pitstop for tourists, but its large tea rooms, covered with blue and white azulejos, tend to attract Lisbon residents too. The pastéis (€1.10 each) are worth the fuss, and their history is long and ancient. Their fabrication started in 1834, when the Jerónimos Monastery started selling sweets. 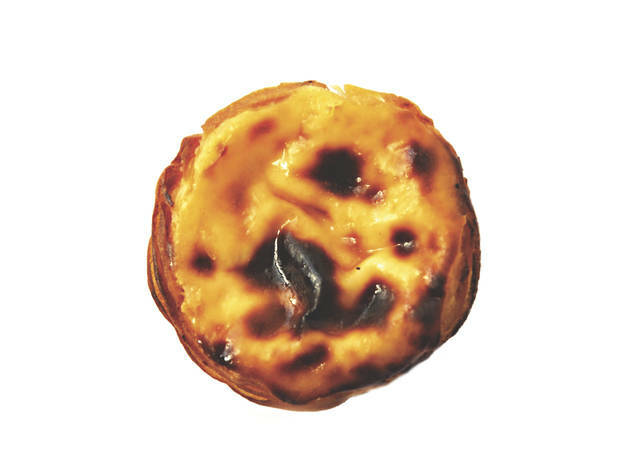 They were so successful that three years later, the Pastéis de Belém empire started, with a secret recipe that is still used to this day. Customers with time to spare scoff them two at a time in a warren of rooms lined with tiles depicting Belém in the early 17th century. Don’t miss: Pay a visit to Berardo Museum. What is it? 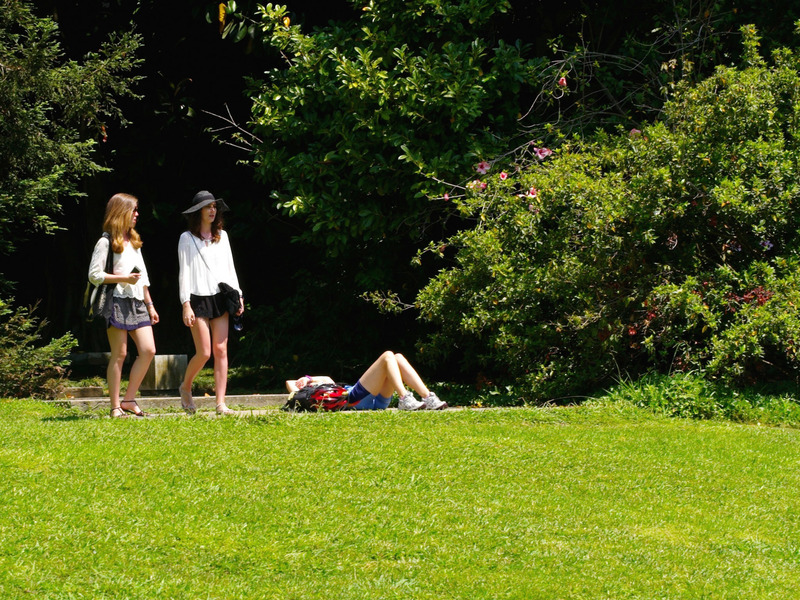 How about a public park like Central Park, do you have one? We do. Why go? We do. Actually, we have a park that’s three times the size of that New-York icon – yes, three times. Walking, running, riding a bike or skating, have a picnic, take photographs, drawing or dating are some of the suggestions we have to pass the time in this green field that’s so big that you lose sight of where it begins and where it ends. Don’t miss: Start at Alameda Keil do Amaral, visit Mata de Benfica and get to know Moinho do Penedo. 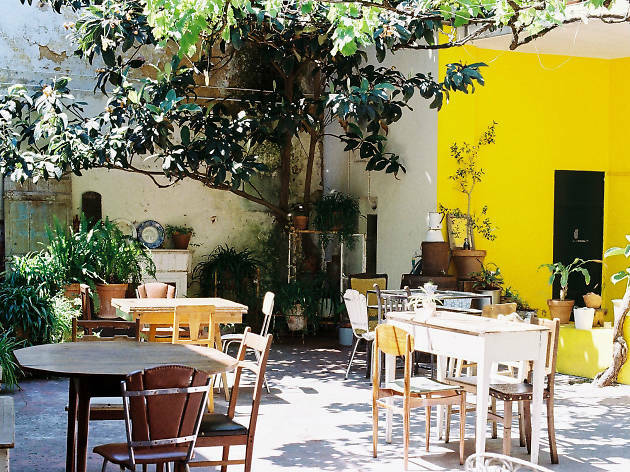 the most beautiful bakeries in Lisbon. Why go? 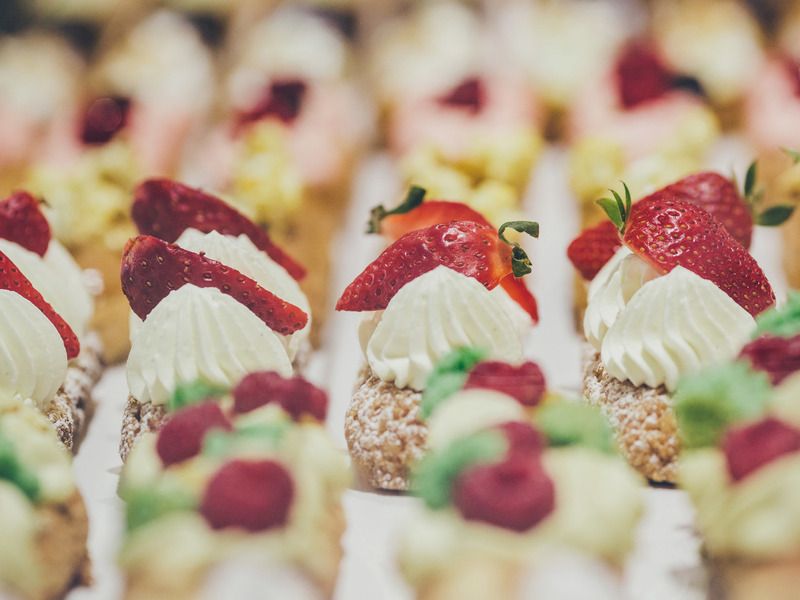 How many places are there where you can take afternoon tea or a late-night hot chocolate surrounded by chandeliers, carved wooden display cases and stained glass? This 1922 gem has a huge selection of cakes, meringues and pastries. It opened in 1922, and from éclairs, custard tarts, thick hot chocolates to the famous croquettes, everything that comes out of its kitchen is delicious. Don’t miss: You can have lunch or dinner here too: the desserts are fantastic. What is it? 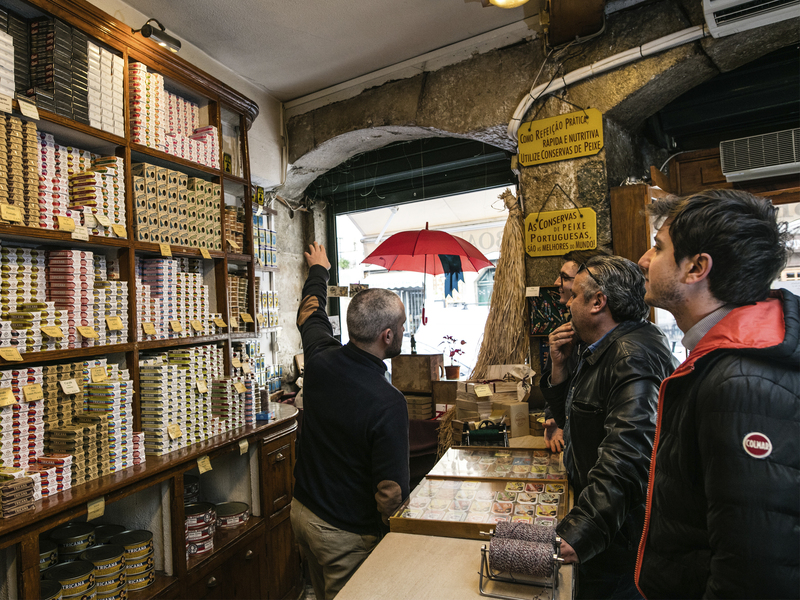 This small, wood-panelled space opened in 1930 and is lined with a dazzling array of colourfully packaged tins - sardines, tuna, anchovies, fish paste and the like. Why go? If you like fish, you’ll be spoiled for choice at the charming Conserveira de Lisboa, which has resided here for over 80 years. The wooden shelves lined with colourful cans invite you to purchase from the exclusive house brands, Tricana, Prata do Mar and Minor. Don’t miss: The store now also stocks a range of gourmet jams and liqueurs for tourists. What is it? Markets, exhibitions, shops, cafes, concerts, parties. There is a whole world to discover in this cosmopolitan "factory" that completely altered the landscape of Alcantara in 2008. Why go? Essential things to do on your retail therapy excursion include a trip to renovated industrial complex LX factory, a shopping city within the city. This uber-trendy venue hosts an eclectic selection of places to eat, drink, dance and spend some serious Euros. Here you can cut your hair, look for surfboards or even sleep. Don’t miss: The weekly market on Sundays. What is it? 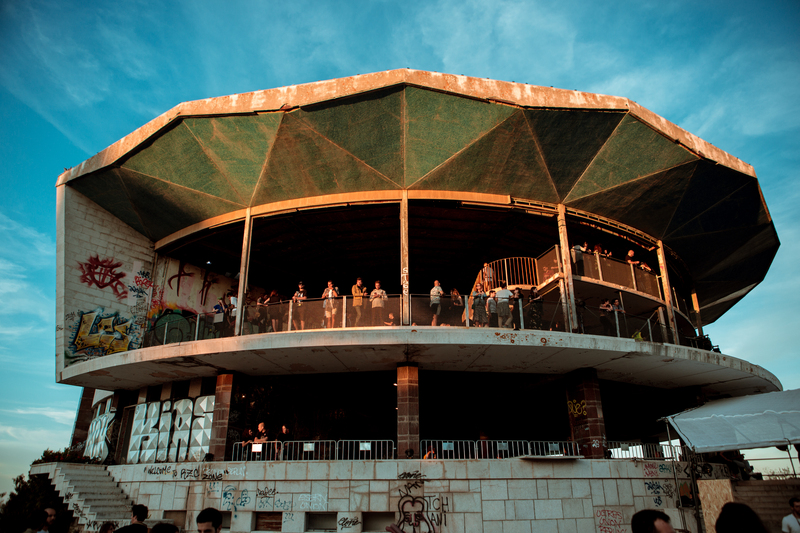 Lisbon's best club, with two dancefloors (one loungey, one sweaty) and a roof terrace overlooking the river. of the resident DJs and top international guests who swing by each week. 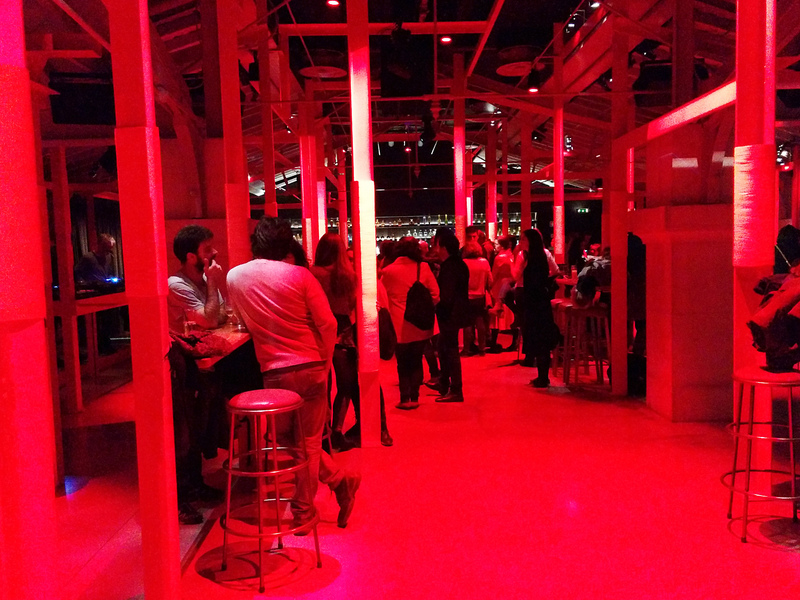 As the hip furniture indicates, it's a see-and-be-seen place, but the crowd is friendly and the measures Lisbon-large. House and guest DJs offer everything from electro and hip hop to bursts of '80s music. Thursdays are popular with locals keen on leftfield names; on Saturdays the place is mobbed by out-of-towners. Lux's programme - which includes live bands and the odd Sunday afternoon event, as well as big international DJs - and its catch-all social role remain unrivalled. Exude photogenic importance at the door if you arrive after 2am. Don’t miss: The sunrise in the balcony. What is it? One of Europe's leading fine arts museums, with exhibits dating from 2000 BC to the early 20th century. Why go? Save time for the final room and its breathtaking glass and metal art nouveau jewellery by René Lalique. Audio-guides are available in English, French, Spanish and Portuguese to help you get the most from the experience. There are also excellent temporary exhibitions, with pieces lent by institutions around the world. Downstairs is an art library (which often hosts midday classical recitals on Sundays), an excellent café and a small gift shop. Don’t miss: Don't miss the Centro de Arte Moderna at the southern end of the park. What is it? 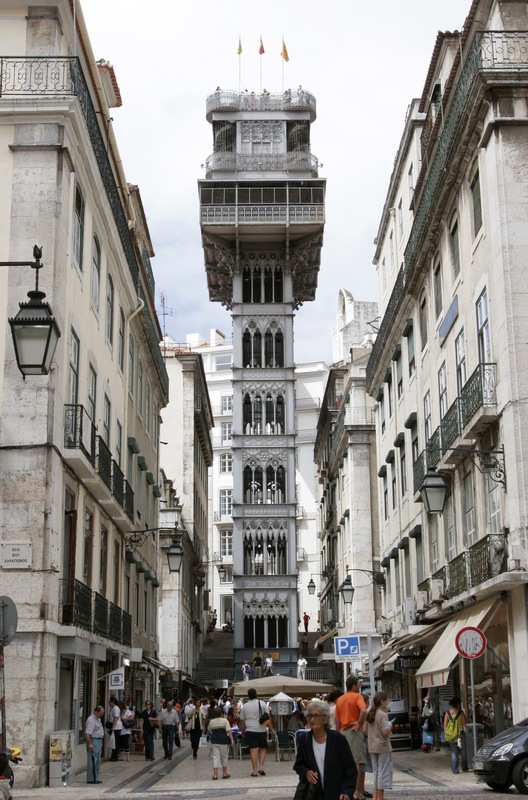 Lisbon’s latest viewpoint is almost 50 years old. In the past, it was a luxury restaurant, a bingo hall, a nightclub, an office building and a warehouse. Why go? This architectural UFO designed by Chaves da Costa has been given a new lease of life - and a much more peaceful one: it is a viewpoint, which was always its second calling anyway. We won’t lie: it’s the best view of the whole city. Abandoned since 2001, the Panoramic received only sporadic visits from urban explorers, tourists, curious onlookers and people armed with spray paint, who went there to do what people generally do with spray paint. Since September 2nd, 2017, it can be visited legally and safely. 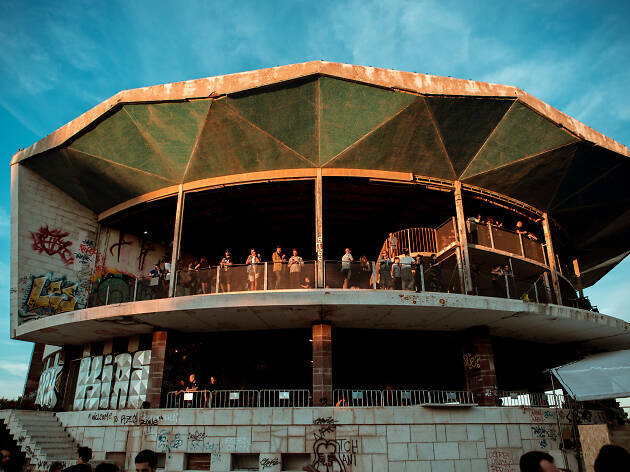 Don’t miss: The 360º view of the city and great location, in Alto da Serafina Recreational Park, make this derelict building the best place to check out the sights in Monsanto. What is it? 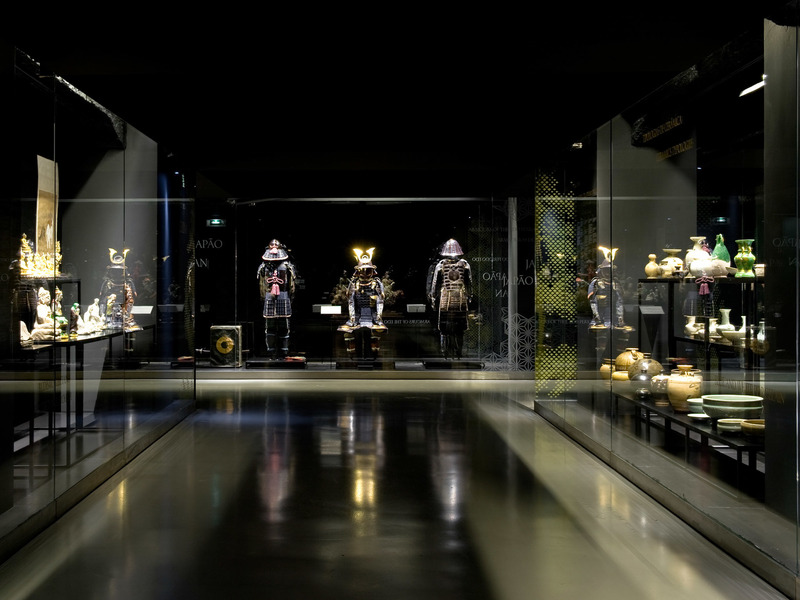 The Portuguese were the first Europeans to have an enduring presence in Asia and the Museum of the Orient, opened in 2008, tells the story. Why go? The core exhibition includes unique maps and charts, priceless 17th- and 18th-century Chinese and Japanese painted screens and other Namban (Western-influenced) art, and an important collection of artefacts from Timor. The separate 'Shadows of Asia' display has shadow puppets from a swathe of countries from Turkey to south-east Asia, drawn from the vast Kwok On collection. The museum runs courses on everything from languages to cuisine and ikebana, as well as hosting concerts of Asian, fusion and world music and dance. Don’t miss: The top-floor restaurant has fine views. What is it? 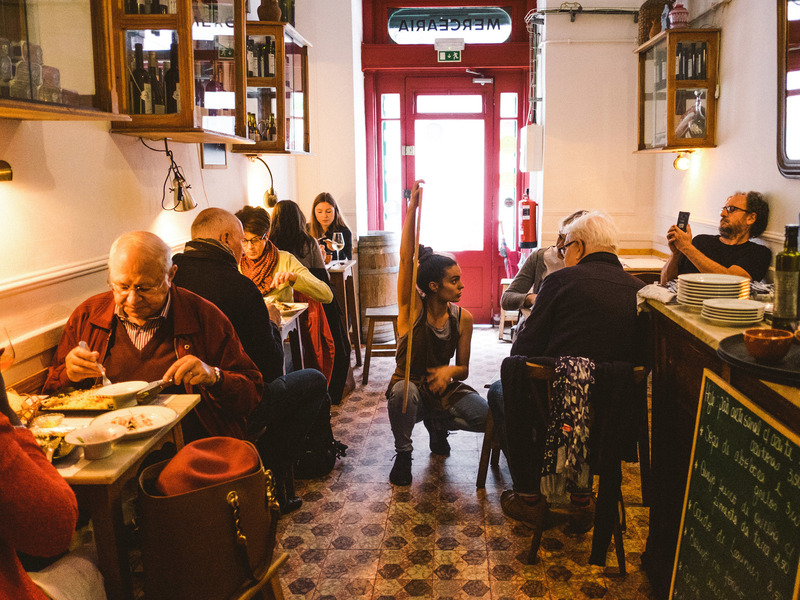 Tejo Bar is an alternative, informal place with a handful of tables with low seats and shelves loaded with books and board games. Why go? Its Brazilian owner, nicknamed Mané do Café, is an amateur artist, novelist and poet, and presides over daily readings. Anyone may strum the house guitar (but don’t clap: patrons instead rub their hands together to show their appreciation, thus minimising noise). 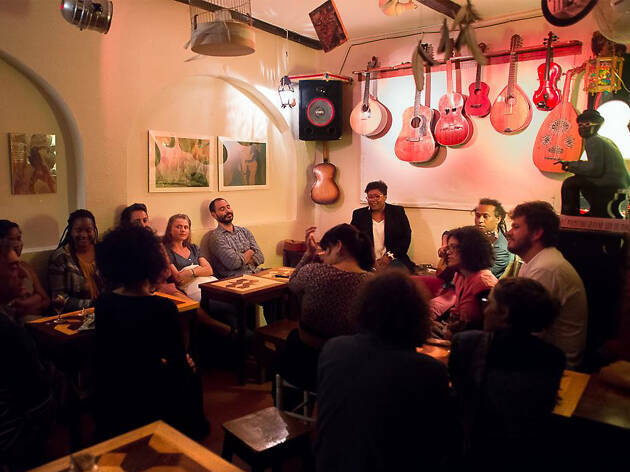 The bar has many regulars – who help themselves to drinks, noting down what they’ve taken – but it’s also a magnet for students and musicians. Don’t miss: Mané is incapable of throwing people out, so the place sometimes closes after 5am. What is it? You can find Rive-Rouge, the heir to Lux Frágil, at Time Out Market. Why go? The design is unusual with red lighting, metallic structures, high tables and benches here. It’s not massive, but don’t despair, there’s still plenty of space for booty-shaking when the music starts. Don’t miss: Its signature cocktails! What is it? This place inspired by Prohibition-era bars in the US has a clandestine air, not least because it is in basement and you must ring the bell to be let in. Why go? Head up Rua do Salitre, and stop when you see a red frog at the door. Ring the bell, descend the staircase and you’ll find a space – Red Frog – that recreates the secret atmosphere of bars in the US Prohibition era. The drinks list was drawn up by an expert and has lots of very creative, very good and well mixed cocktails. 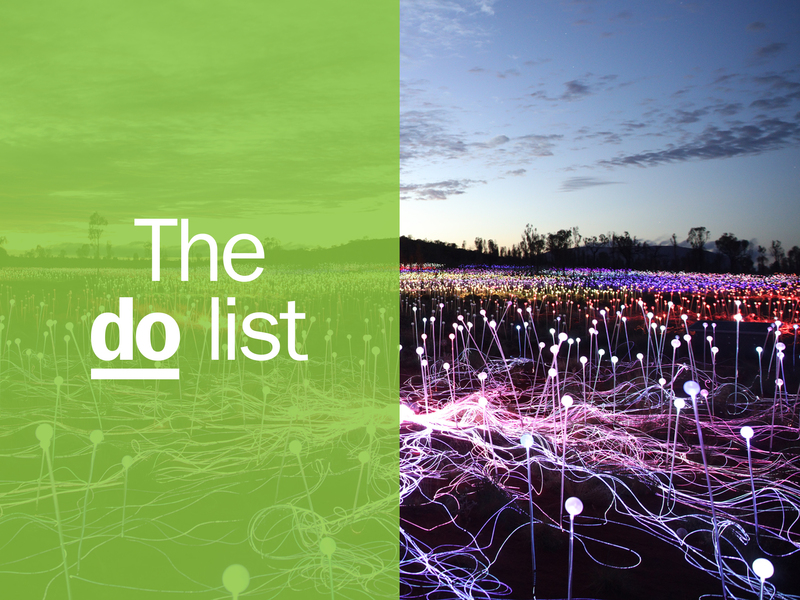 Don’t miss: It is impossible to recommend one, because the list is constantly changing. The best thing is to leave it to the barman’s imagination. What is it? For over 30 years, Joaquim José Cortiço dedicated his life to collecting and studying industrial Portuguese tiles, which belonged to factories that went out of business. 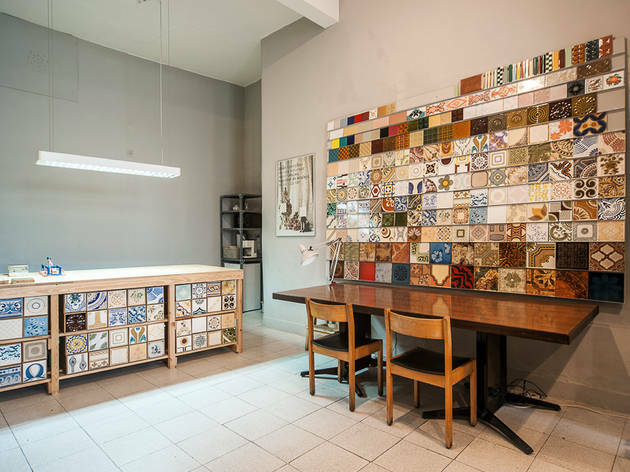 Today, it’s his grandchildren that continue to give life to his project with Cortiço & Netos, where you can find several ceramic tiles that tell its history from the 60’s onwards. Why go? Unlike other azulejo shops listed in this guide, this place stocks mostly mass-produced tiles. But with hundreds of discontinued lines, it's a veritable museum of style through the decades and a great place to pick up one-off decorative bargains. For years, the owner snapped up stock from factories as they closed; now his grandchildren (the netos of the name) are busy selling it. Don’t miss: Buy one now while you can! What is it? 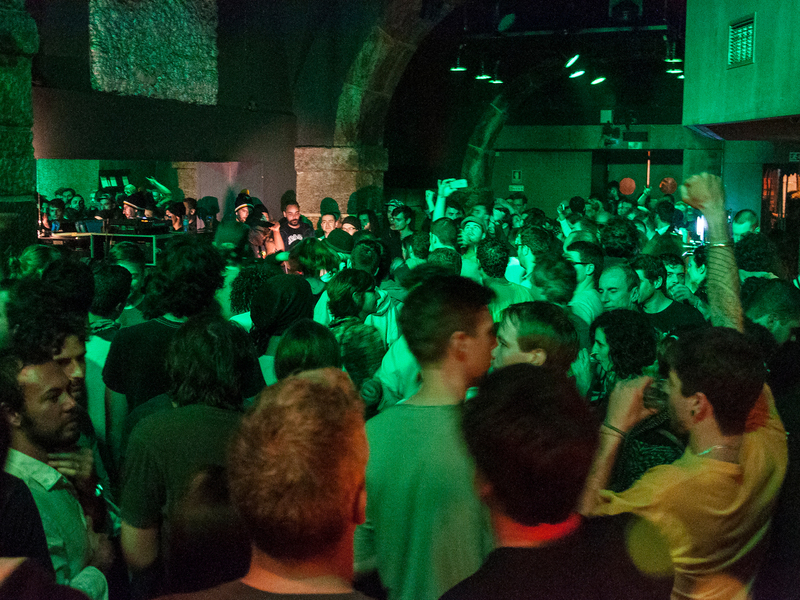 It's one of the city's most interesting venues, with a regular programme of rock bands, electronic live acts, singer-songwriters and DJ sets (all night on Fridays). Why go? The managers of this key club in Cais do Sodré have music industry connections and exploit them creditably. Note that some shows may start as late as 2am; for details, check the website, which is comprehensive. 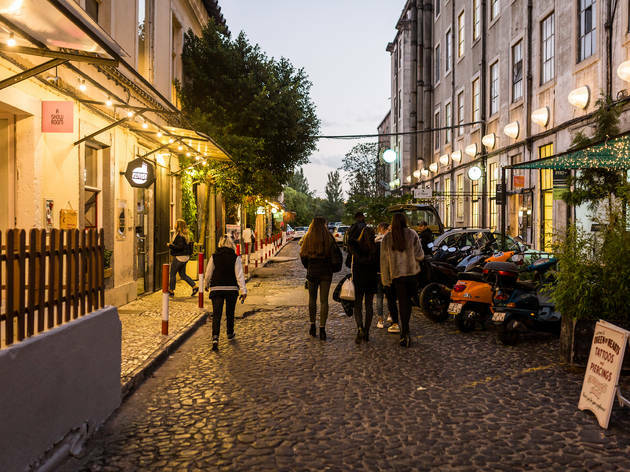 The space has an underground feel and look (it's literally beneath steep Rua do Alecrim) and is located in what was once one of Lisbon's seediest streets - and is now one of its buzziest at night. Don’t miss: You’re at the nightlife district, enjoy the rhythm of the night. What is it? Mesa de Frades, the azulejo-lined former chapel of the Quinta da Dona Rosa, a palace built by Dom João V for one of his lovers, is a fado’s house owned by guitarra player Pedro de Castro. Why go? It has a reputation of being the fadistas’ canteen and you never know who might roll up in the wee hours and do an impromptu performance. The food is Portuguese, prettified – bacalhau com natas with parmesan and the like – but really not up to the quality of the fado. Don’t miss: Booking is a must for dinner. If you drop in later (and can squeeze in) there’s no minimum spend. What is it? 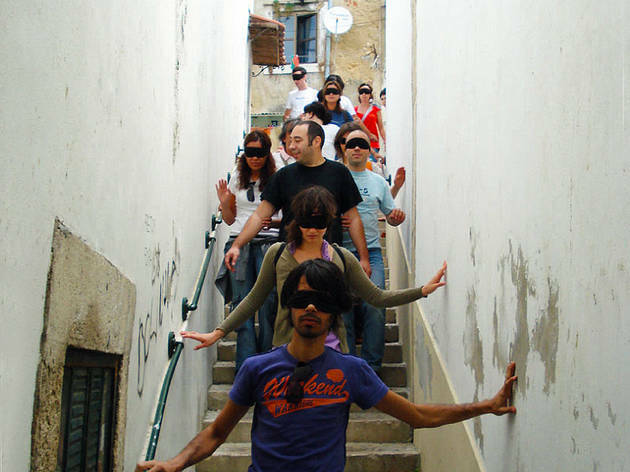 Discovering Alfama blindfolded is an idea suggested by Lisbon Walker, in collaboration with ACAPO – The Portuguese association for the blind and visually impaired. Why go? The tour is called Lisboa Sensorial (sensory Lisbon), and he objective is to sense the smells, noises and flavours of Lisbon’s most typical neighbourhood, with your eyes covered – and a guide. It lasts an hour and a half. 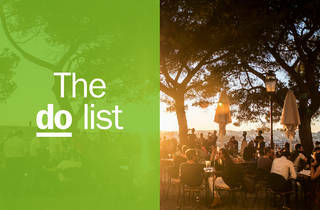 Warning: this list is bound to grow, Lisbon being one of the best cities in the world. 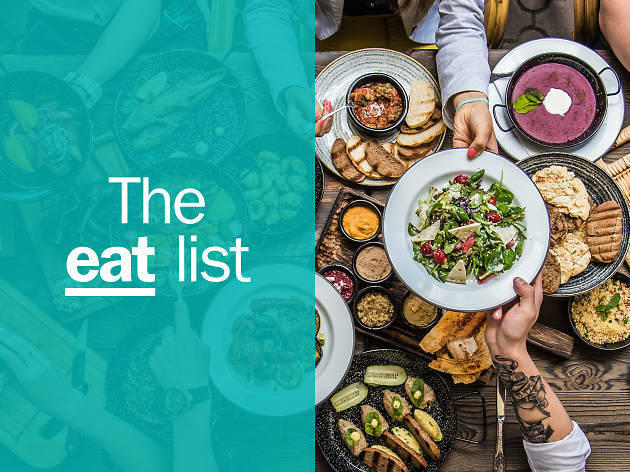 So don’t approach the sights listed below as a definitive guide, but rather as a taste of everything Lisbon has to offer, including the activities that are excluded from our recommendations (for now). Wear comfortable trousers and go from there. Lisbon is getting busier and we don’t mind that at all. 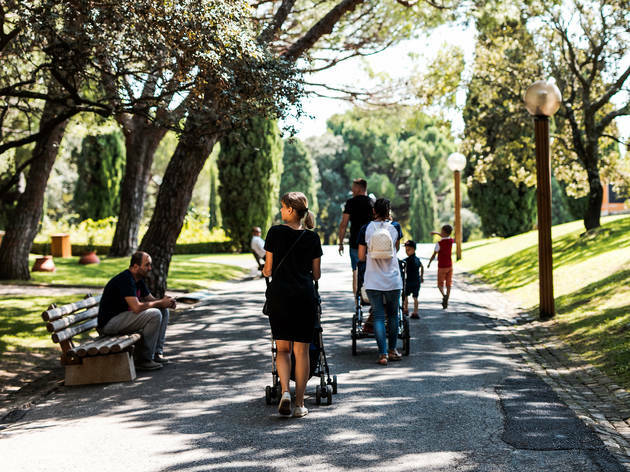 With so many cool streets to go, shops to browse and restaurants from all over the world to experience, besides the good and old traditional ones, of course, you can end your holidays more tired than when you began. Whether you're looking for a relaxing treatment or to spend a full weekend, these hotels have the ideal recipe to forget the craziness of the urban life for a while. 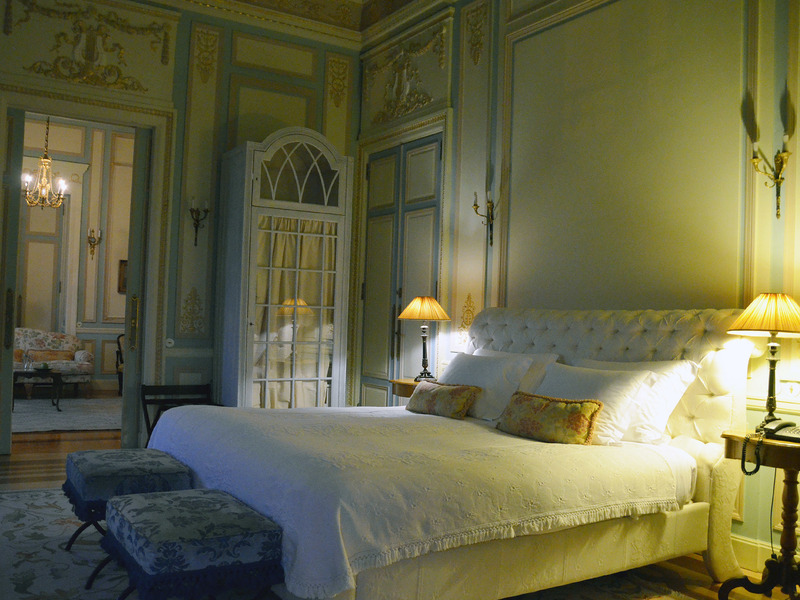 Lean back, place some cucumber in your eyes and enjoy some zen music at one of the best spa hotels in Lisbon. Don't worry about the weather too much, in Lisbon the sun is usually shinning. In this list you'll find the best views in Lisbon: viewpoints, or "miradouros" as we say in Portuguese, terraces, by the shore or from the river. A sunrise you won't want to miss. Explore Lisbon at your own pace on this Castle Tramcar tour. Your 24-hour hop-on hop-off ticket lets you explore the city at your leisure. 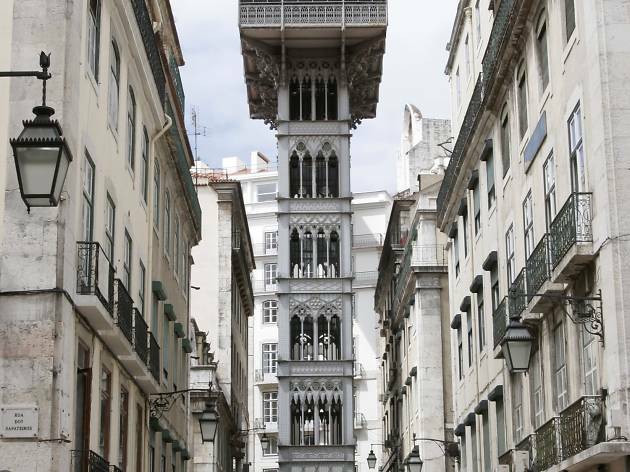 The hilly city of Lisbon might be home to the most beautiful elevator on the planet. 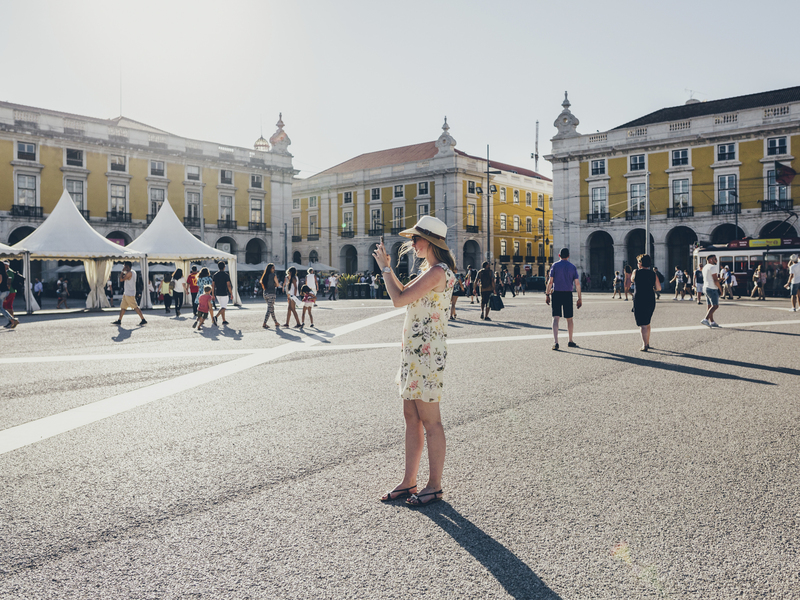 Explore Belém and gain insight into Portugal’s rich maritime heritage on this 3-hour small-group walking tour of Lisbon.